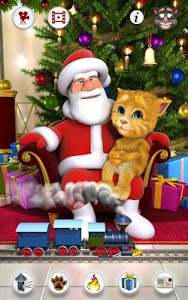 Meet Ginger, Talking Tom's mischievous little nephew. Tom is taking Ginger to a shopping mall, where he's about to see Santa for the very first time. Dear old Talking Santa thinks he's just getting a regular kid to deal with but Ginger has more than one surprise up his sleeve. 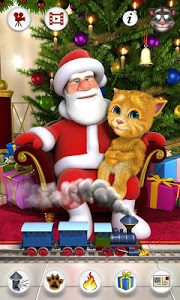 Once Ginger is in Santa's lap, he'll tickle and kick him, pull off his beard, put a finger up his nose, set his hat on fire, give him an exploding gift and yes... much more. 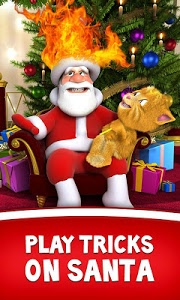 Enjoy countless hours of holiday fun with Santa & Ginger. 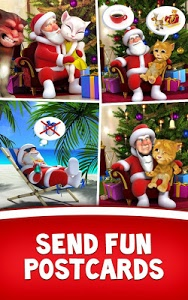 Share different cute and funny Christmas cards featuring Santa, Ginger and other Talking Tom and Friends characters! 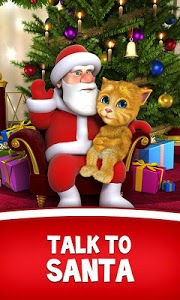 ✔ Talk to Santa and he will repeat your words to Ginger. 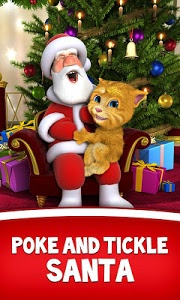 ✔ Poke, slap or tickle Santa to see his hilarious reactions. 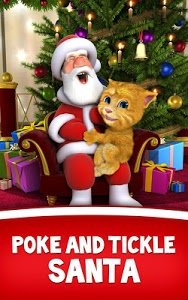 ✔ Poke or tickle Ginger and see what happens. ✔ Poke the toy train and make it go off tracks. ✔ Ring the bell on the Christmas tree by shaking your device or by poking the bell. ✔ Press the train whistle button to hear the whistle blow. 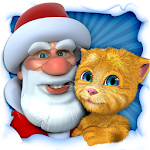 ✔ Press the cat paw button to see Ginger annoy Santa in different ways. 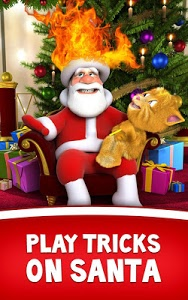 ✔ Press the fire button and see how Ginger lights Santa's hat on fire. 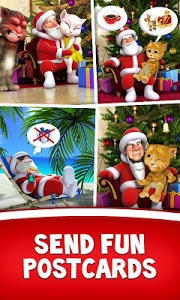 ✔ Send customized Christmas cards (email, MMS or Facebook) by pressing the card button. ✔ Record videos and upload them to YouTube & Facebook or send them by email or MMS. 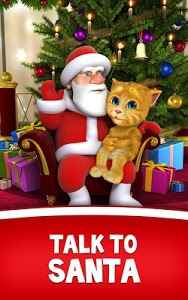 Similar to "Talking Santa meets Ginger"